A main reason for this underestimation is strong technological learning in combination with support policies. 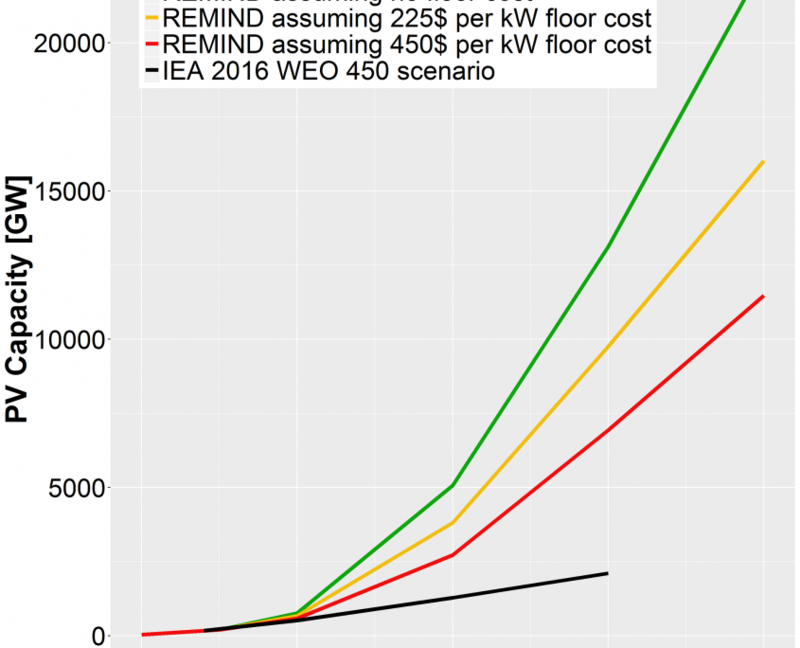 PV showed a remarkable learning curve over the last twenty years: On average, each doubling of cumulative PV capacity lead to a system price decrease of roughly 20%. With substantial support policies such as feed-in-tariffs in many countries including Germany, Spain and China, or tax credits in the USA, the learning curve was realized much faster than expected, which in turn triggered larger deployments. These factors together have led to an average annual global PV growth rate of 48% between 2006 and 2016. Creutzig, F., Agoston, P., Goldschmidt, J.G., Luderer, G., Nemet, G., Pietzcker, R.C., 2017. The underestimated potential of solar energy to mitigate climate change. Nature Energy.